Comet is the tale of an ordinary couple with an unordinary relationship, told over the span of six years and possibly multiple universes. Dell (Long) is a highly intelligent and equally cynical doctor of sorts who struggles to make his way through the society he so arrogantly looks down upon. When going to view a meteor shower in Los Angeles he stumbles into meeting Kimberly (Rossum) the plainly beautiful and soft edged girl he just can’t seem to leave alone. Dell isn’t the type to believe in love, something so subjective and unprovable however the instant he meets Kimberly he throws away the cynicism and gives it his all. From there the film spirals through different times and places, and potentially different universes showing the ebb and flow of their relationship over six years. The first notable aspect of this film was the script itself. The dialogue is perfectly written and delivered with natural ease. I find that sometimes when watching a movie with quick-witted characters the dialogue is almost too quick, making it unbelievable and almost annoying. Comet absolutely nailed the perfect balance of speed and realism. I also loved the unpredictable timeline that it followed. Telling a story of several years is hard, telling it out of sequence is even harder. The ambitious and bold take on story telling was a perfect success when I saw it as I was completely overcome by it and never lost interest. The banter between the two characters made me fall in love with their relationship, it was the ideal relationship as the flaws were as pronounced as the perfections, and still maintained realism. That brings me to my next favorite part of the film, their chemistry. 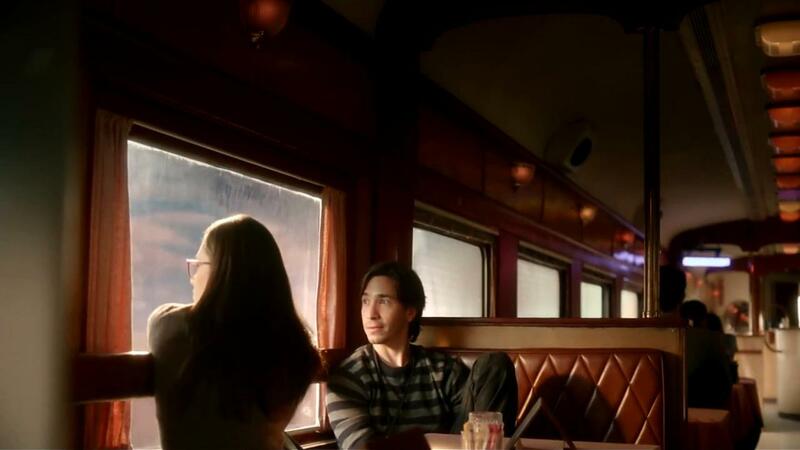 I have been a fan of Justin Long since “Accepted” and though it was a cookie cutter movie with ordinary dialogue and campy acting, guiltily I really liked his performance. Comet on the other hand he gives a performance worth taking seriously. Briefly put, Long was able to create a character that wasn’t just a vessel for great dialogue. He delivered in a way that was absolutely seamless and natural, and all credit to its realism is owed to his delivery of it. 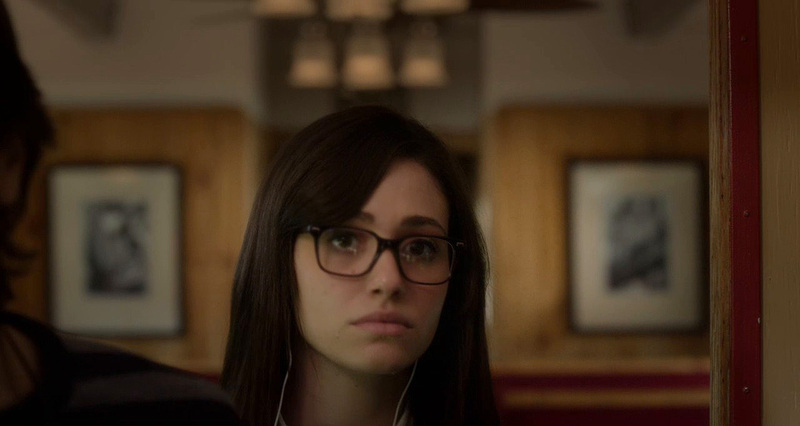 Emmy Rossum was absolutely stellar. She had a command over the audience much like Meg Ryan did in her early romantic comedies. She was simple, plain, and flawed…and it made her extremely easy to fall in love with, which after all, is the goal. Her character provided perfect balance to her opposite, while also maintaining enough reality to keep the relationship believable. The cinematography and music were also out of this world. The camera work was nothing over the top, but just off the beaten path enough to make it noticeable. No rules were broken cinematically, but they were bent at the most opportune times adding to the emotion of the scenes and overall tone of the film. The score was simple, and for me it crescendos during a scene in which Bon Iver covers “Love More” in his classic big reverb acoustic composition that sent fireworks through the screen. The scene in which it played was serene and absolutely perfect in every way. I haven’t been truly blown away by an indie romance/drama in at least 2 years, probably since I saw Adam Scott tear it up in “The Vicious Kind” (2009). Comet was so good that I literally watched it twice in one day, and had there been more time, I could have done a third round. Though it breaks your heart time and time again, somehow by the end it puts it all back together and leaves you satisfied enough that you can breathe again. A story so powerful you don’t want it to end and showcases the true power of love in its truest form, no matter how unconventional. It’s unique, bold, daring, and delivered with absolute perfection.